A few weeks ago, I walked into the Peoria PlayHouse Children’s Museum to find floor staff creating a clever string of “lights” made of construction paper and cardboard tubes. They wanted to hang it from our tree – a big, fake oak tree that sits just inside our lobby, and is one of the first things visitors see when they walk in. To the dismay of the staff, I vetoed the lights. It is not in the PlayHouse, but paired with its PlayHouse sign, it does send a message that our museum is ready for Christmas. At the PlayHouse, we recently launched a series entitled Celebrate Peoria, with monthly programs highlighting the diversity of cultures represented here. We have celebrated Sukkot and Kwanzaa, and are preparing to celebrate Makar Sankranti, Lunar New Year, and St. Patrick’s Day. Which begs the question: Is it ok to celebrate Kwanzaa but not Christmas? Is it ok to celebrate Christmas but not Kwanzaa? Why one, and not the other? This post was originally titled, “Should Museums Decorate for Christmas?” But when I posed this question to colleagues on Facebook the overwhelming response was that we should avoid Christmas decorations, but wreaths and blue and white lights are “neutral.” I understand this argument, but I find it problematic. The phrase “holiday season” implies that this is a time when a variety of holidays are being celebrated. But no other religion I can think of has a major holiday that consistently falls in December. (Hannukah is a very, very minor holiday, and Diwali this year fell in early November; in 2016 it is in late October.) So when we celebrate the “holiday season,” it is really the Christmas season we are celebrating. But there are good intentions behind labeling December the “holiday season.” It is meant to be inclusive. The phrase “holiday season” theoretically says, “We each have our own equally important traditions, and let’s welcome them all and still celebrate together.” In the United States, it allows a diverse population to experience a shared moment of coming together. Moreover, the Americanized “holiday season” celebrates not the birth of Jesus but the secular gathering of families. For many, it is less about any religious sentiment than it is about a season of appreciation and sharing. This attitude is prevalent enough that it poses a different sort of problem for religious Christians who want to reclaim their holiday as a religious event. So for a moment (just a moment, I promise – you can skip down to the next section if you like) I am putting aside my opinion that the “holiday season” is an inauthentic and problematic construct to consider museums’ roles during the holiday season. 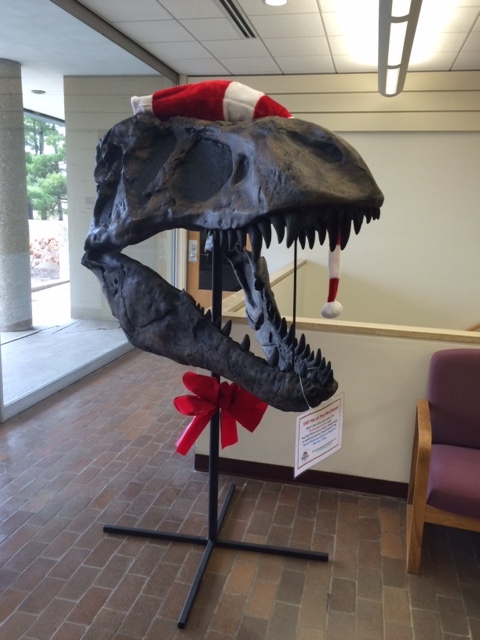 Because there are a few reasons that museums might want to celebrate the holiday season. First, museums may want to contribute to the feel-good nature of the month. The holidays are perceived as a happy time, as expressed by decorations, the generosity of gifts and donations, and wishes of “happy holidays.” By hanging wreaths or other decorations, museums integrate themselves into their communities. Some children’s museums create large holiday events for their towns/cities­–and they can be huge attendance drivers. Because earned revenue is an important component to many children’s museum’s operating budgets, they have to think about how to be competitive with other events and spaces that draw families away from the museum­–including malls. Children’s Museums are great places to introduce people to the diverse celebrations. In my time as Manager of Cultural Programs at the Brooklyn Children’s Museum, I learned a lot about traditions such as Diwali, and Sukkot, which made me appreciate those communities even more. At a time when we hear hate sentiments against one religion we should embrace everyone’s traditions. Museums serve as safe spaces where culture can be preserved. There is certainly a culture in museums of embracing the holiday season, often using it to bring in visitors, generate revenue, and teach. But what do we lose in doing this? The Christmas Around the World exhibit in the rotunda at the Museum of Science and Industry in Chicago, Illinois, USA, 2006. The irony of using the “holiday season” to teach about other cultures is that the holiday season insidiously perpetuates the hegemony of Christianity in the United States. When people go around saying “Merry Christmas,” we recognize that they are operating in a Christian framework, which we may or may not feel part of. When people go around saying “Happy Holidays,” we are lulled into thinking that we are coming together in an accepting, multicultural context. But, as noted earlier, there is no holiday season, there is only Christmas. Were this issue, this post, this concern, only about the holiday season, it might be of secondary importance. But the larger issue – the assumptions and attitudes held by the majority, and how they impact our perception and treatment of “others,” is or should be an issue of importance to all of us right now. Assumptions about the “holiday season” reflect a wider set of things we take for granted, which we presuppose everyone does or should agree with but are really cultural constructs. All people around the world are members of cultures, by which I mean not just art and dance, but “grammar rules”… that set up the mostly unspoken (and often unconscious) limits to their behavior. For example, culture defines the values people hold, their goals and motivations, the permitted means to achieving those goals…. All of these things must be provided by every culture. They are needs that must be met in any culture to keep that culture and society intact…. But often… the ways people fulfill these needs are unspoken or even unconscious…. Because these behaviors are unconscious they are the hardest parts of a culture to analyze or change. Over the course of the past year we have amassed growing evidence that many of the assumptions held by people living in the United States are dangerous to the health and well-being of others. Where do some police officers get the idea that it’s acceptable to use violence on African Americans? What are the assumptions that we, and those around us, make about Muslim immigrants? How do the immediate responses to crimes vary according to the ethnicity of the perpetrator – who do we call crazy, who violent, who a terrorist? What cultural assumptions are at the root of these attitudes and responses come from? The space in which I most often think about this issue is K-12 education. We hold myriad cultural assumptions about what success looks like, the importance of academic ambition, what constitutes appropriate behavior, how people should speak, in both language and tone. The result is a set of un-examined, or at least under-examined, assumptions about the function and purpose of school. Right now, the purpose of K-12 education appears to be to equalize through homogenization, while moving all children toward college. Parenting is another area plagued by cultural assumptions. On the “Park Slope Parents” listserv in Brooklyn one would sometimes see posts from a parent telling another parent that their nanny was mistreating their child by yelling at him or her. In children’s museums we often assume that parents should be engaged with their children, rather than simply available nearby, and parents are judged accordingly. How do we recognize our own assumptions, and question them, and help others to question them? 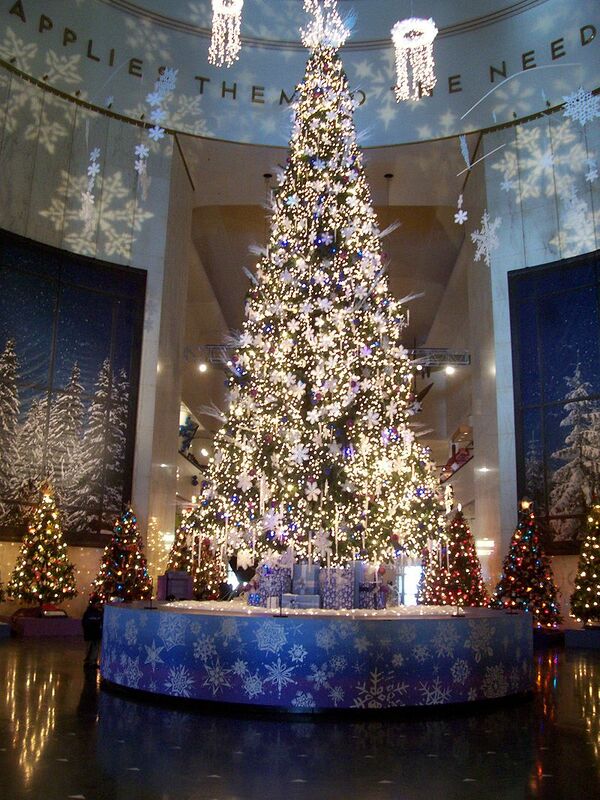 So – should museums celebrate the holiday season? Museums always have multiple conflicting goals. But I would argue that more important than contributing to a warm and fuzzy feeling, more important than generating income, and more important than teaching selected information about other cultures is challenging cultural assumptions that grow more and more problematic. Who but museums will help people examine the normative assumptions we hold? To build on Jon Stewart’s example, museums are the ideal choice to draw attention to streets named after Confederate officers, and examine the history and repercussions of this often-ignored history. Museums can examine education, the history of testing, the many jobs people can have and the path to these jobs. And museums are ideally situated to remind people that the United States is a country made of many cultures, most of which do not have December holidays. Earlier I asked the questions: Is it ok to celebrate Kwanzaa but not Christmas? Is it ok to celebrate Christmas but not Kwanzaa? Why one, and not the other? The answer, I think, is because celebrating Christmas is a narrowing act, while celebrating Kwanzaa broadens. Celebrating Christmas, or the “holiday season” reinforces norms we may want to question. Celebrating Kwanzaa, or Sukkot, or Makar Sankranti teaches most visitors that there are active cultural traditions different from their own, while supporting the observers of these traditions by making them feel welcomed and celebrated. Post script – In the interest of full disclosure, I do want to note that, at the PlayHouse, while I reject decorations, we did send out a Happy Holidays card. Writing this post made me rethink that, but too late. Rebecca, You didn’t need to write a post just to answer my Chanukah party question,but I love it! It was a very brave decision you made for Peoria. I also now recall wondering why the Museum of Science and Industry always played up Xmas.